While much has changed in the kitchen in the last 150 years, cast-iron cookware endures. A few years ago, my mother-in-law set about to “declutter” the stately Washington, D.C., home my husband, Alex, grew up in. Nearly fifty years of elegant urban living had accumulated in the attic and basement, and Mary told me to poke around for things we might want for our new home. Sterling silver cake combs and crystal champagne coupes aside, the items I most coveted were in her collection of Le Creuset cookware. Some of it was new, with yellowed paper tags still attached. When Alex and I married in 1999, I boldly included a cobalt blue (“Marseille”) Le Creuset Dutch oven on our Williams-Sonoma registry. It seemed extravagant and grown-up, sort of like asking for a BMW for your sixteenth birthday. 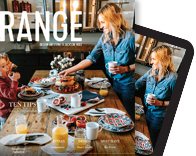 The iconic enameled cast-iron cookware seemed to say that a Viking range and Sub-Zero fridge could not be far behind. Over the years I’ve acquired a few more pieces, most recently the red (“cerise”) crepe pan, which gets much more enthusiastic use in our home than that self-righteous Breville juicer. 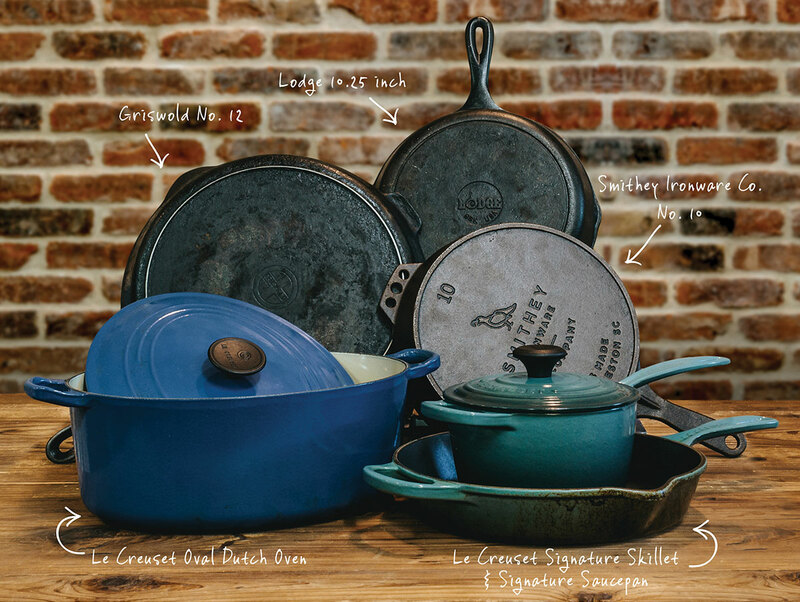 Le Creuset was founded in 1925, their initial product an orange (“flame”) cocotte, and nearly a century later, they are still the first name in enameled cast-iron cookware. Staub, another French company, followed in the mid-1970s with its clever trademark innovation in lids dotted with spikes on the inside to promote self-basting. Over the years I’ve acquired a few more pieces, most recently the red (“cerise”) crepe pan, which gets much more enthusiastic use in our home than that self-righteous Breville juicer. Lodge’s down-to-earth brand and price points—a basic skillet can start at $20—have made its products ubiquitous in home kitchens and around campsite fires. It was only a matter of time, of course, before the craft-brew-drinking crowd discovered cast-iron cookware. FINEX, based in Portland, Oregon, exudes small-scale integrity with their trademark eight-sided skillets and coiled stainless steel handles. An eight-inch skillet retails for about $100, and they are becoming a fast favorite among kitchen cognoscenti. 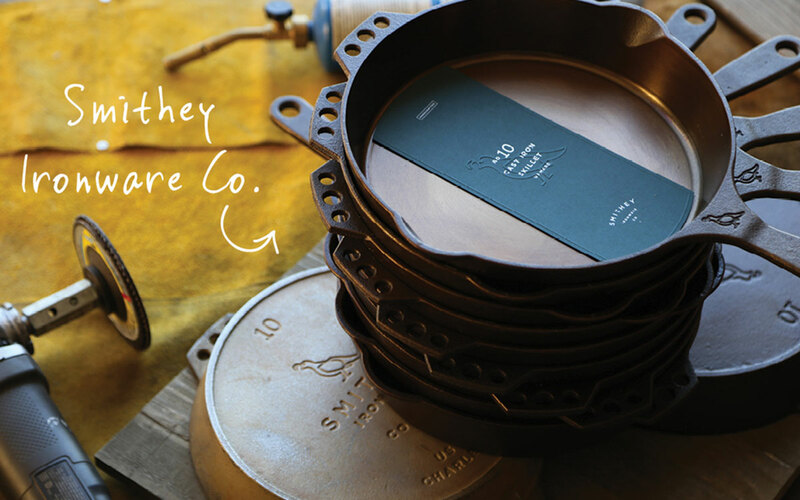 Smithey Ironware Co., with just two skillet designs hand-finished in trendy-quaint Charleston, South Carolina, is the newest addition to the cast-iron crew. Founder Isaac Morton’s passion for ironworks began with restoring old iron cookware to give as gifts. All cast-iron cookware has distinctive makers’ marks on the bottom, and Smithey’s artfully designed hallmark is easily recognizable by its jaunty bird. 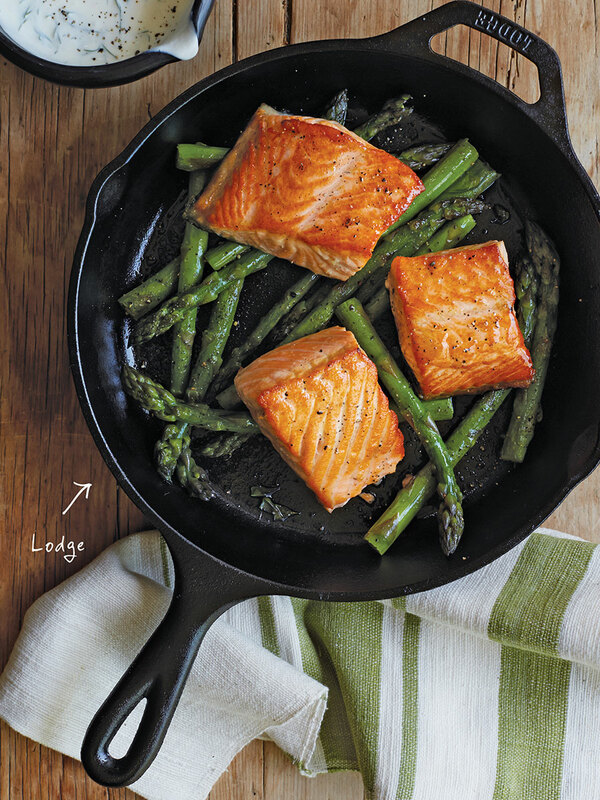 However, the true signature of a Smithey skillet is the glassy-smooth patina of its hand-polished, nonstick interior. 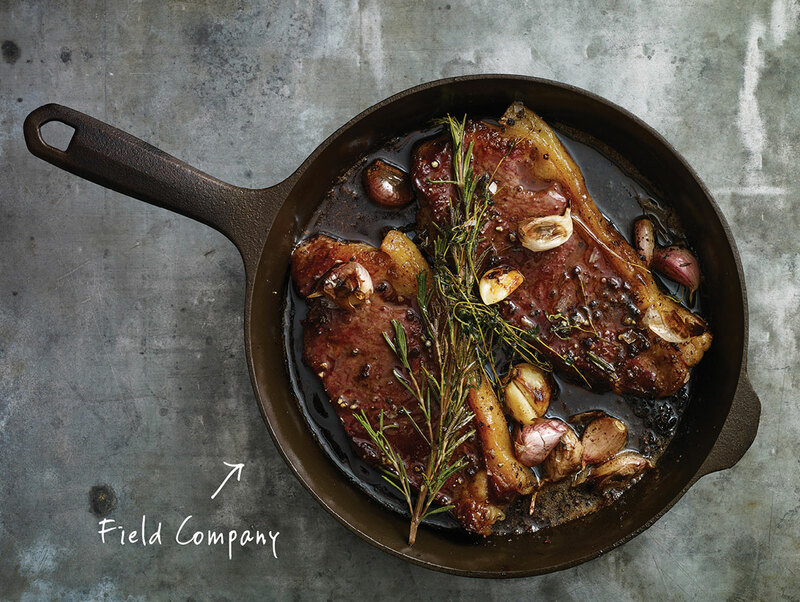 There’s even a new cast-iron skillet company, Field Company, with an early presence on Kickstarter, complete with metallurgical studies and millennial appeal (“lighter than a MacBook Pro!”). As new cast-iron cookware companies reassert its enduring appeal, the greatest testament to this old-world craft may be seen on eBay, where an ardent subculture of cast-iron aficionados trade valuable pieces like art. At press time, a waffle iron dating from 1888, made by the Griswold Manufacturing Company in Erie, Pennsylvania, was starting bids at $9,000—campfire not included.